Considering a change of home and lifestyle? It’s good to be proactive if you have outgrown your family home, have health concerns, or want to be closer to family. Who’s out there to help with this major change? Diana Noonan reports. Moving home (eagerly anticipated or otherwise) is classed as one of the two most stressful experiences of a lifetime (the other is changing jobs). Close on its heels must surely be the process of reorganising living arrangements within your own home, or rationalising personal possessions (decluttering) in order to make your home environment safer and more manageable. These are areas of our lives where we could all do with a helping hand, but now that so many adult children and friends live out of the country or have very busy working lives, relying on their help isn’t always realistic. In any case, many of us wish to handle such transitions independently. If you’re facing changed circumstances, predicted or suddenly thrust upon you, you’ll be glad to learn that professional help is available from a reassuring variety of sources. Faced with downsizing, you might find yourself wishing for a good fairy to make all of the decisions and arrangements. Thanks to specialist personal help services, your wish could be granted! This Hawkes Bay business with a heart covers the entire North Island and is willing to help out in the South if required. Owner Fran Binning works only with retired folk and is a trained senior move manager, assisting with downsizing and managing moves that could otherwise seem overwhelming. Fran has years of experience and will do as little or as much as needed, respecting the client’s wishes. Costs range from $500 to $5,000 depending on what is required. To contact Fran, phone 0800 111 085. Operating in the Greater Waikato, Auckland, and Bay of Plenty regions, this business gives serious attention to detail and individual wishes, even when a client may not be able to return to their home to supervise a move. Its staff recently even arranged for a load of freezer-burned meat to be delivered from a home they were packing to the SPCA rather than see it wasted. Charges: $50 an hour plus materials. Contact Move Managers on 0800 389 957. The Trust may be a household name in New Zealand, but not everyone is aware of its Personal Assist service, which manages financial and property matters. It can assist with downsizing decisions and moves, or manage your affairs for as long as you require. You will have your own adviser who will manage and/or coordinate any services you ask Public Trust to provide. Contact the Trust on 0800 371 471. Changed circumstances don’t always lead to a change of address. An occupational therapist can assess your home and needs, and advise whether modifications or some helpful aids would allow you to stay where you are. Talk to your GP about arranging an assessment if your mobility or health needs have changed and you are considering a move. Often the required changes are as simple as decluttering, moving a bedroom downstairs, or shifting a bed into a lounge to create a bedsit arrangement. It’s easy to tackle your next relocation or decluttering project with today’s convenient moving and storage services. Packing materials such as tape, wraps, padding, and boxes of all sizes will make quick work of this otherwise tiresome task. Collect the items yourself or have them delivered or couriered to your door. We like the moving packs offered by some companies, which contain special wardrobe and picture boxes, cartons for glassware and crockery, and enough packing and wrapping material to deal with the contents of an average home; these are sold for a fixed price and are available in sizes to suit small dwellings to large ones. If required, some companies will collect the packed containers for removal to your new home or to storage facilities where, for a fee, they can remain. Other companies lease sturdy bins and containers for an affordable fee, which they will collect after your move. It’s an environmentally friendly option, as you won’t have any bulky cartons to dispose of once you’ve emptied them at your new home! Check supplier websites for helpful hints about how to simplify your move. When moving to a smaller home, obtain a floor plan of the new dwelling so you can estimate spaces for furniture. Fees involved in employing a business to help you downsize are often recouped by selling unwanted household goods (especially when the company, which should not take a commission, can recommend reputable buyers). 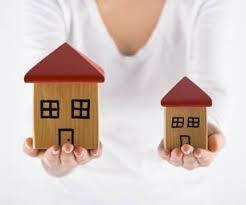 It is not in the brief of home support and/or personal caregivers to assist with downsizing decisions. You will need to engage another agency for this task. Skips, delivered to your door, make rubbish disposal a breeze. Find these in your local Yellow Pages. Charity shops are useful for shedding sound, clean household items and clothing. Staff will often call, free of charge, to collect the items. Consider offering food banks unopened consumable goods which have not passed their use-by dates. Schools, kindergartens, or groups such as Scouts are also always on the lookout for donated goods. Raise cash by selling items you no longer need on TradeMe. Seek help from friends and family if you’re not sure how to sell your things online.